The months of June and July have a chock-a-block schedule for the wannabe brides and grooms in Kerala. With an abundance of auspicious ‘muhurtams’, parents of the families are sharing their plans with that of their children. We can see a perfect blend of the traditional and modern approaches. The new generation brides and grooms want perfection in everything. They are not even averse to experimenting and it can be seen in the layouts of invitation cards, entertainment events, wedding photos and the modes of transport. In this blog, we are going to discuss the shifting trends of wedding photography. The photography services in Kerala are leaving no stone unturned to match the aspirations of the clients located either in India or overseas. Pre-wedding photo shoots have lots of potential at the scenic outdoors of Kerala. Thankfully, this particular trend has an Asian lineage. Mostly the Chinese and South-Asian couples used to go for the pre-wedding shoots that are fast engulfing the fancy of Western couples as well. The brides and grooms arrange for a brand new dress. Hence, you could sense the excitement of the couples. The photographers are preparing premium packages so that the cost of both pre-wedding and the wedding ceremonies could be clubbed together. The idea is to make it pocket-friendly. If you are of the notion that no such expertise is needed for shooting pre-wedding photos and it is the magic of the picturesque backdrop only, do a bit more research. A same kind of knowledge in photography is expected that you get to see in the snaps of the ceremony. 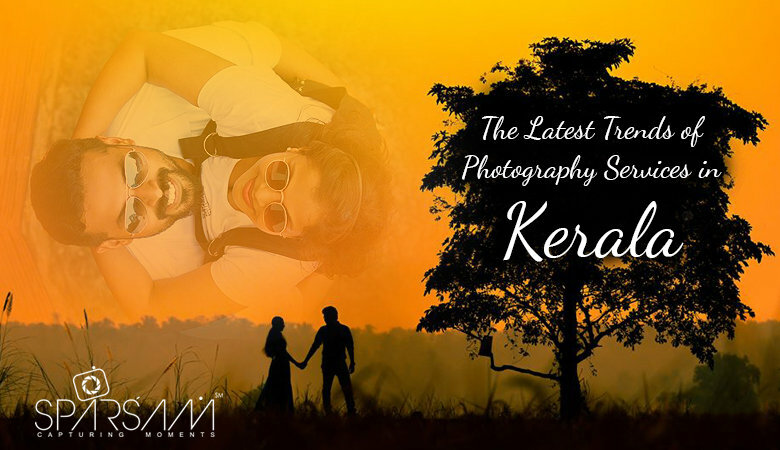 In fact, perfect pre-wedding shoots are clicked by best wedding photographers in Kerala. A sunny or a cloudy ambience calls for a controlled exposure of light that would give the best results. Many couples want a slideshow presentation published right at the end of the ceremony. Young photographers in Kerala are capable of providing this 11th hour service as well. However, they expect an active participation from the clients. It is a joint effort. The clients need to inspect the photographs and discuss them with the photographers. The aesthetic beauty of the photos and the sense of uniformity are the forte of the experienced photography services in Kerala. They could point out which photos should be there and which should not be. The colourful smoke bombs add vibrancy to the usual picture motifs. There use is more prevalent in the pre-wedding or engagement photo shoots. The photographers are of the opinion that this ensemble has helped them to click more candid pictures of the couples. Rather than planned and instructed photo frames, the couples nowadays want to capture candid photos and hence, photojournalism has become the mainstream style of photography. The best wedding photographers in Kerala would fix the percentage of candid photographs to be 70 to 80 per cent. One can page through the portfolio of photographers and decide upon whom to choose. Trends speak a lot about the present time. If you want to follow in the footsteps of your generation, better to select the service that keeps an updated knowledge and that you are sure of would never fail you.